When it comes to recruiting point guards from New York City, the Gophers have twice made a splash landing a couple standouts decades apart in Eric Harris in the 1990s and Isaiah Washington last year. 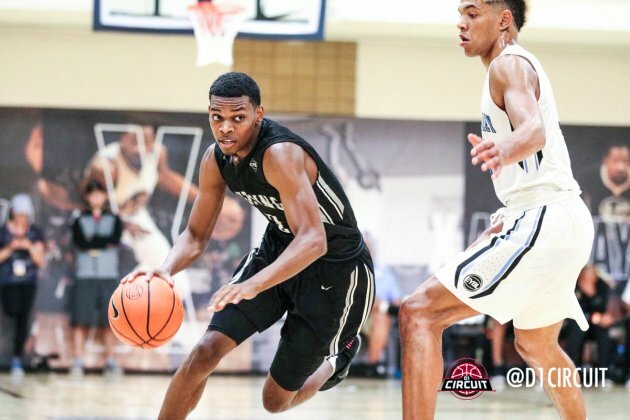 Now for the second class in a row, Minnesota coach Richard Pitino hopes to add a talented floor leader with New York roots in three-star senior Anthony Nelson, who is expected to make an official visit this weekend along with Oak Hill small forward Keyontae Johnson. New York Lightning co-director Dana Dingle said Nelson would likely make a decision soon after his trip to the Gophers this week.The 6-foot-4, 180-pound Nelson plays his high school basketball for South Kent School in Connecticut and the New York Lightning in AAU. He narrowed his college finalists to Dayton, Minnesota and Seton Hall. Both the Flyers and Pirates received official visits from Nelson in late September. Nelson transferred to prep school last year after helping to lead Cordia High School in Kentucky to a state title as a sophomore while earning tournament MVP honors in 2016. Last season, he averaged 14 points, five rebounds and five assists for South Kent as a junior. Two summers ago, Nelson played AAU ball for New Heights staying with family in New York City. But he was a starting guard for the New York Lightning this summer, averaging nearly 11 points, five assists and four rebounds in the Nike EYBL circuit. Dingle, who played college ball at Massachusetts with Marcus Camby in the mid-to-late 1990s, is a former high school teammate of Harris at St. Raymond’s in the Bronx. He played then against Gophers assistant Kimani Young, who is from Queens. “I’ve known Kimani for a long time since we played against each other in high school and later when he was (AAU director) at New Heights,” Dingle said. “I think Kimani is doing a great job trying to bring New York players to Minnesota knowing that a number of the kids are good enough to compete at the Big Ten level and possibly help them win championships." Washington was last season’s Mr. Basketball in New York out of St. Raymond. He's a throwback NYC point guard with an array of flashy ball-handling and dribble drive finishes. But he can also facilitate and get teammates involved. Nelson, who is bigger and more athletic than Washington, has some similarities in his game to Washington and Harris, who ended up being one of the best defenders in the Big Ten. Washington and Patrick School (N.J.) three-point ace Jamir Harris are currently freshmen and part of the Gophers’ future backcourt. Next month, Minnesota will sign DeLaSalle shooting guard Gabe Kalscheur (along with posts Daniel Oturu and Jarvis Thomas) in the 2018 recruiting class. But Pitino could close out the class with another point guard to compete with Washington beyond this season. That’s where Nelson could be a nice fit for the Gophers.